"The only thing we overlook is the bay"
Our award winning Head Chef and his team offer up the finest in cuisine. 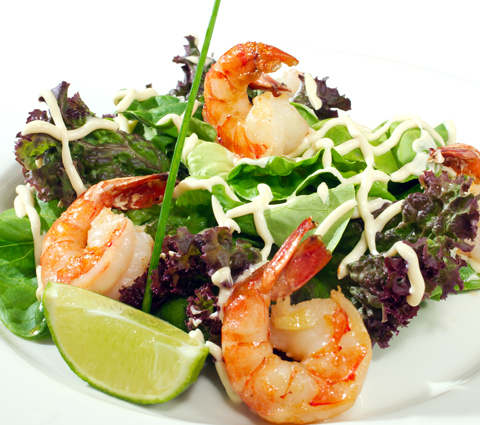 Made from the finest local ingredients and crafted with years of experience and skill, our dishes really are fantastic. 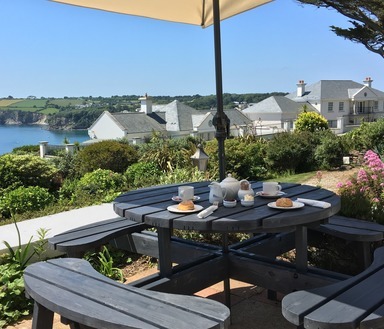 Combine these dishes with our unparalleled view of St. Austell Bay from The Reflections Restaurant or The Brasserie Bar, and you end up with a dining experience that is difficult to match. No dining experience would be complete without the right accompaniment of wine, thankfully The Porth Avallen Hotel also offers a competent and hand-picked selection of international wines for you to choose from. Our range of fantastic wines is broad enough to please casual drinkers and connoisseurs alike. 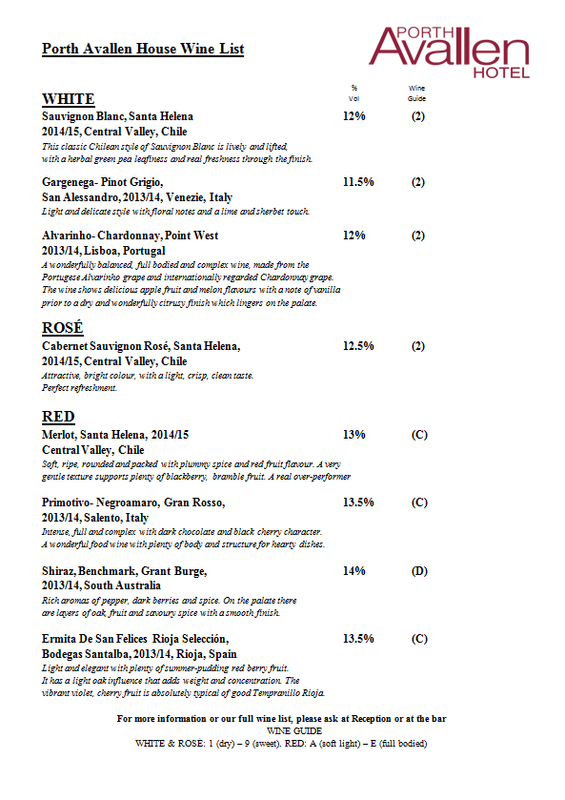 Below you will find a list of just the House Wines that we have on offer, please ask upon arrival to peruse the full wine list. In order to offer you the best possible range of dining choices, we would greatly appreciate being informed of your requirements in advance, ideally 24 hours. While this is not usually necessary we cannot guarantee that, without prior notice, we will have many options that cater to you. 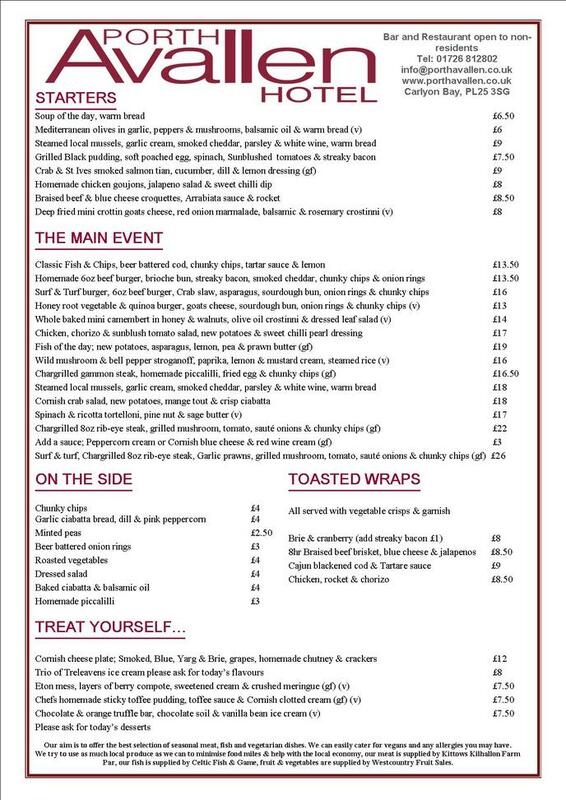 This extra time will allow us to, where necessary, source alternative ingredients, enabling you to select from our menu more freely. The Reflections Restaurant and The Brasserie Bar are both located on the ground floor of the hotel and offer problem free access to wheelchair users. There is also a washroom fitted for ease of access. We ask that you call ahead only so that we may guarantee and reserve one of our disabled parking spots for you.